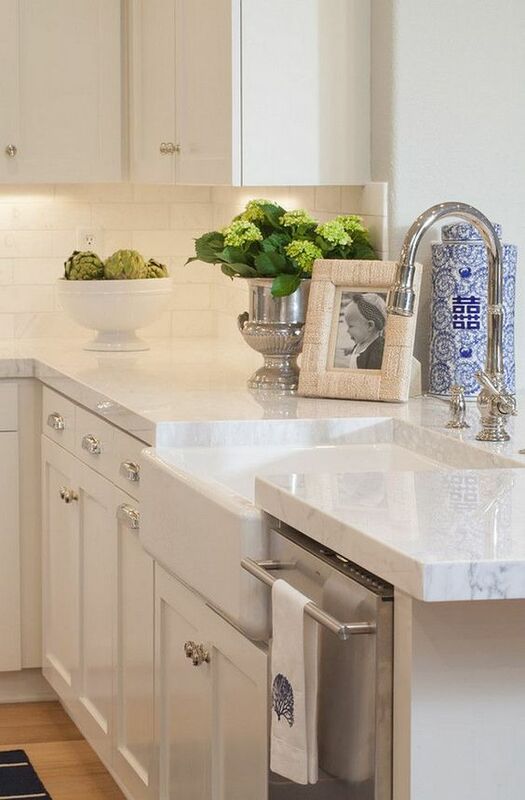 Countertops….we all need them and the choices are endless! The first place to start is your budget as the selections can vary in cost significantly! 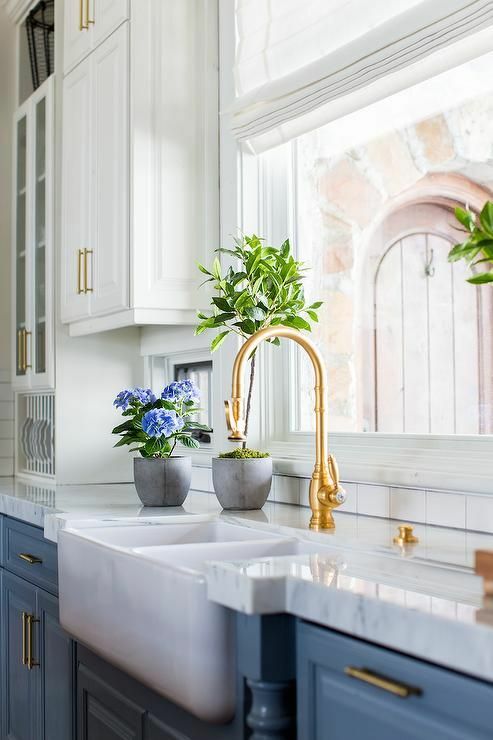 The next step is to decide just how much work and upkeep you are realistically willing to commit to maintaining the beauty of installed countertops. Finally……the fun stuff! Identifying a well respected stone yard or distributer and searching for the perfect product for you! Here is an amazing breakdown of the most common options created by Studio Mcgee – it includes both pros and cons…..and it’s the cons you need to pay the most attention to! 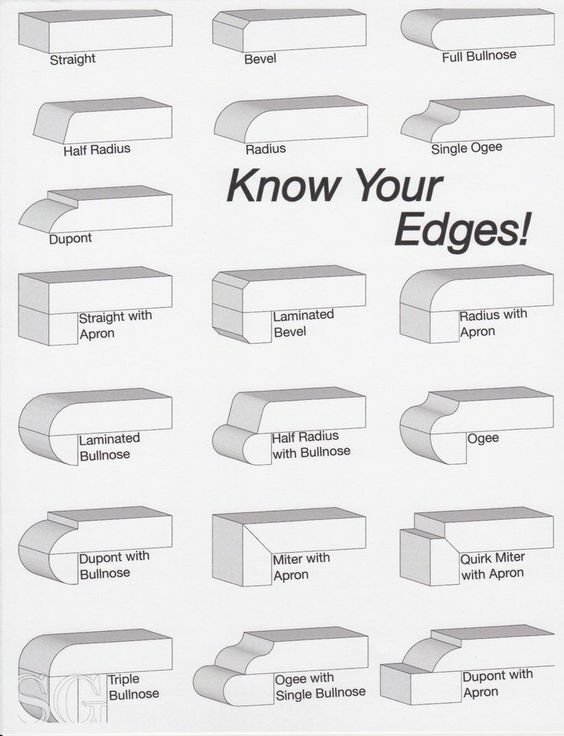 If you have determined that natural stone works for your budget and you’re committed to the maintenance it requires then the next step is to determine the edge profiles – as you can see in the chart below there are a number of ways to go! A trick you can explore with profile selections is to build up the edges to make the stone appear thicker than it is! This is illustrated below in the bottom half of the images……only way someone knows you didn’t splurge on the 2″ thick slab is if they’re clever enough to look at the thickness around the under mounted sink – it’s the one area that can not have the built up edges! Now that you know you’ll have to be on the look out for this trick! Recently, my clients have leaned towards the straight or beveled edge profiles – but there is beauty in all the options so pick what you love most! And finally…..some inspirational images to help you decide what the perfect fit is for you! 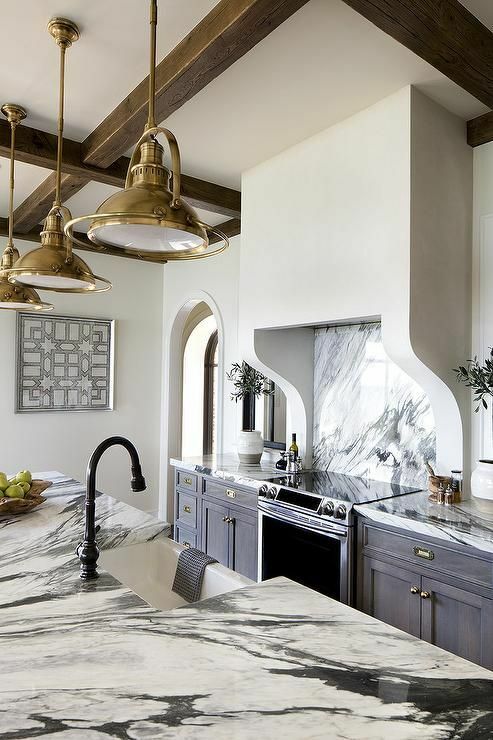 What about the thickness of these Quartzite countertops?? 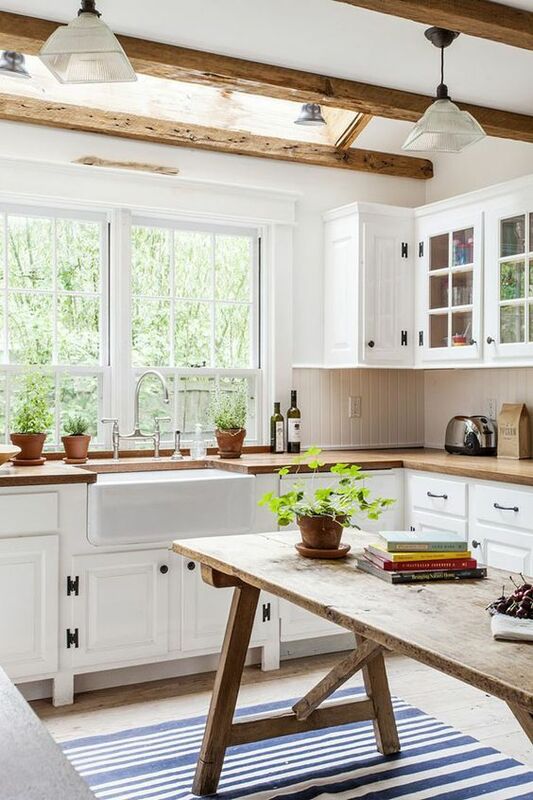 Wood countertops are a timeless addition to any home……but you must be prepared for the maintenance! 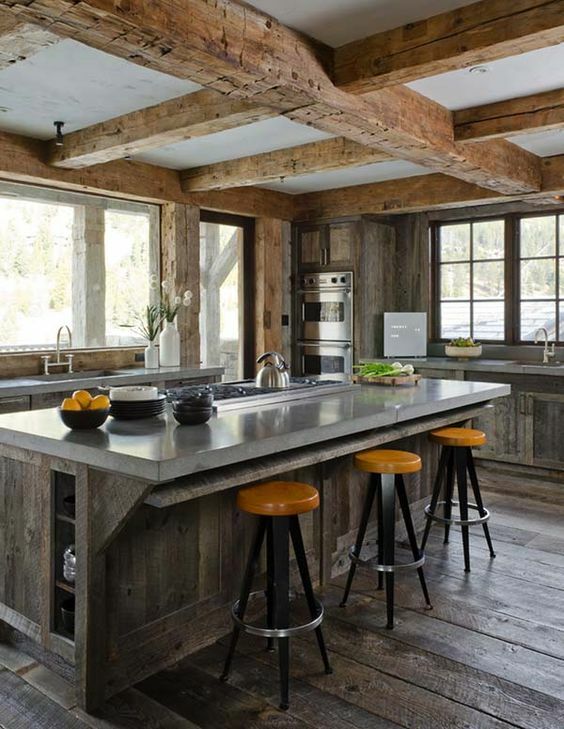 And the amazing look of poured concrete countertops is a look I’ve always loved! Happy shopping for your own personal look and let us know if you have any questions along the way!